For Freelander 2 Repairs you need look no further than us here at K Motors, Independent Specialists in Land Rover repairs since 1957. 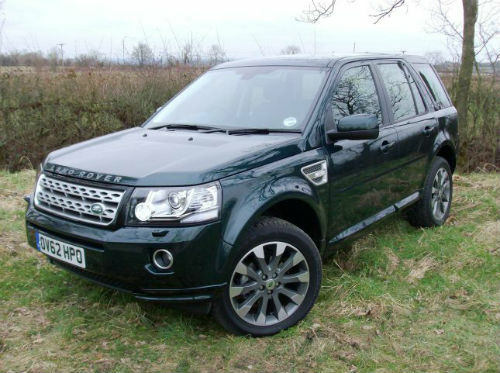 Compared to the previous Freelander the reliability and build quality have taken a huge leap forward. It is 50mm longer and 109mm wider and the wheels have been moved further toward each corner giving more space inside and seriously increasing its off road ability. The Freelander 2 is packed with technology and full of electric trickery which means pretty much every fault requires the vehicle being hooked up to specialist diagnostic equipment. This in turn means that if things do go wrong, then for the handy spannerer it is often beyond their abilities to fix themselves. As well as our extensive knowledge and experience in Freelander 2 repairs we also have the very latest Autologic diagnostic equipment and technical support to aid in any fault finding. Here we have a list of the more common Freelander 2 faults, symptoms and costs* to repair. All prices include parts, fitting and VAT. *Prices quoted above are average costs, parts prices may vary depending on vehicle specification and availability when sourcing OEM. Collection and Re-delivery throughout Lancashire, Merseyside, Cheshire and Greater Manchester available upon request.